Come families wearing your most out there hair, to the best 70’s disco classics anywhere. We’ve got dancing, face painting, food and games. For kids aged 2-12 and their dancey dance families. Wear white or neon brights to get your Vivid Music glow on. Kiddo Disco’s super energetic dancers and DJ’s give the kids dancing lessons, as well as playing games and providing a dynamic and engaging visual aspect for kids and parents alike. It is the uplifting, positive, kid-focused tunes that drive the energy of Kiddo Disco, with Kate at the helm on the turntables, and the dancer’s characters that are developed for our specialty shows. Each Kiddo Disco party is themed and encourages families to engage in the creative aspects of going to a dress up disco. 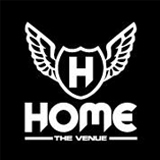 Home The Venue is a renowned Sydney institution where everyone has a story from its dance floors. With over 6,000 patrons going to Home each and every week, Home is a rite of passage for all local and international 18+ music lovers. But after 20 years of catering to adults, we’re opening its doors to the tiny dancers with Kiddo Disco. Partnering Home The Venue and Kiddo Disco for Vivid gives families a chance to take advantage of a great location right next to Tumbalong Park and all the Vivid installations in the area, as well as a top notch safe environment to dance the night away with the family.